When you talk about singers who aren’t afraid to talk about the ills in their society, Ariel Camacho was one of them. His dexterous and unique singing style will forever strike a chord in the hearts of his followers, not forgetting the special way he played the requinto, a traditionally tuned guitar, very popular among Latinos. Growing up in a Mexican city plagued with drug dealers and traffickers, Ariel Camacho still found a voice through his songs. He constantly created awareness of the dangers of drugs to the society, following in the footsteps of some of the Mexican musical greats who stood up against such vices. 8th of July 1992 marked the arrival of Ariel Camacho into the world in Guamuchil, Sinaloa. He was born as José Ariel Camacho Barraza to Benito Camacho and Reynalda Barraza. In a formal setup, he is addressed with a combination of his mother’s surname and his father’s surname. However, for ease of addressing, he is referred to as just Ariel Camacho. Not much is known about his growing up and education. However, his journey into music could be traced back to his early days. He also mentioned attending a middle school where he met some of his crew members. 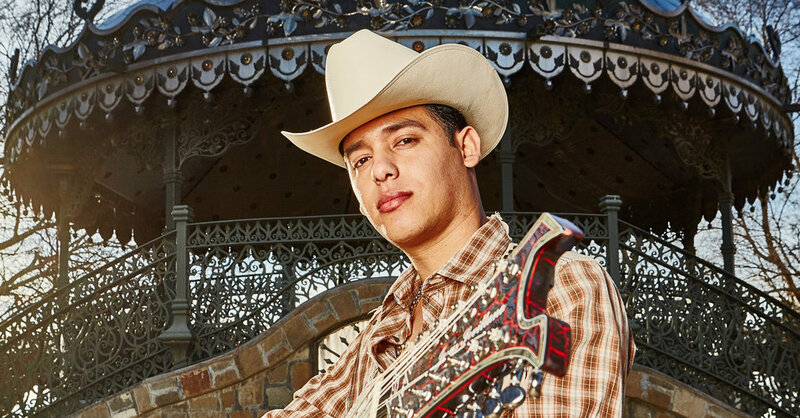 Ariel Camacho’s music career kicked off quite early, precisely when he was 12 years old. He was performing in shows around Guamuchil and in neighbouring towns in Mexico. He was having the best time of his life doing what he loved to do at a very young age. Understanding the power of a team, he decided to start a band. César Iván Sánchez was the first to be a part of the band. César was a friend he met in middle school and he did very good with the guitar and backup vocals. With Ariel Camacho’s musical ambitions growing, he made moves to bring in more people into the band. The next addition to the band was Omar Burgos. Omar was a great tuba player that brought a whole new dimension to Ariel’s music. Having put together a band of three, he went head-on to organize a concert. The concert, which happened to be his first, held in Tijuana and had more than 40,000 people in attendance. This was a huge leap in his musical career. In addition to his growing personality, he was also known for expressively playing the requinto. As a matter of fact, his grandfather gave him the nickname, La Tuyia when he was a kid. This was because he was way smaller compared to the guitar he played. In 2013, Ariel Camacho’s band evolved and got the name, Ariel Camacho y Los Plebes del Rancho (this is a Spanish expression for Ariel Camacho and The Plebes del Rancho). There were no new additions though, just César Iván Sánchez, who played the rhythm guitar and provided backup vocals, as well as Omar Burgos, who played the tuba. Ariel Camacho was the lead singer and played alongside his requinto, which was the lead guitar. The popularity of the band grew as they became famous for their unusual blend of acoustic guitar, tuba, and the 12-string requinto. As a band, they released very successful songs like Hablemos, Te Metiste, El Karma and Rey de Corazones. Rey de Corazones became their most popular song, going viral on social media and ultimately became Ariel Camacho’s nickname. Following in the footsteps of famous songwriters before him wasn’t an easy task, but Ariel Camacho did well to uphold their legacy. In his short career, he had some collaborations with other corrido singers such as Regulo Caro, Marca Registrada, Los Traviesos De La Sierra, and Grupo Fernandez. Regardless of the fact that Ariel Camacho’s promising career ended too soon, he will be remembered for his style and approach to music and world-class musical talent. When Ariel Camacho took a bow from the Carnaval de Mocorito, a music festival, on February 25, 2015, he was actually taking a bow from life itself. Going home from the festival, he was involved in an auto crash on the road from Angostura, Sinaloa, alongside three other people. Though there was only one survivor from that accident, Ariel Camacho wasn’t the lucky one. According to reports, Ariel Camacho, who was driving the car at about 2 am, lost control of the car. There were speculations that he was under the influence of alcohol, but there was nothing to prove that. However, it was confirmed that the singer was at high speed. That wasn’t the first time he had been involved in a car accident as a result of over speeding. But he didn’t get another chance after this particular incident. He was just 22 when he died. Tributes have been paid to him from both singers and fans alike. His musical legacy is one that cannot be forgotten so easily.